Older forum members and Android users of early Samsung devices may faintly recall the Superbrick fiasco. The events that lead up to Superbrick are long and complex. For the sake of brevity, a tl;dr explanation is that a leaked ICS update for a few carrier variants of the Galaxy S2 i9100 and of the Galaxy Note N7000 caused a permanent brick. This was no ordinary hard brick, as an affected device could not be resurrected via a JTAG and was completely dead and unresponsive. The superbrick affected the eMMC of the device, and hence, repairs could only done with a complete motherboard change. The disclaimer that generally goes with “leaks” was valid on this case too, that leaks are essentially “unreleased” software that may or may not be fit for public consumption. However, to complicate matters, this superbricking ICS kernel actually made its way to the Galaxy Note N7000 as an official release available via Kies and OTA updates. The Superbrick fiasco, and the accompanying drama that ensued courtesy of Samsung’s attitude towards developers was highlighted in a 13-post series by Andrew Dodd aka XDA Senior Recognized Developer Entropy512 on his Google+. You can find the beginning of this post series here. We highly recommend that readers take some time off and read the full series of posts to gather complete contextual awareness and understand the full gravity of the situation that happened back in 2012-13. “…Obviously, nearly anyone following me is aware of the recent social media storm resulting from the frustration the third-party Android firmware community (especially CyanogenMod users and developers) has been experiencing with Samsung. The “Superbrick” fiasco, the lack of documentation of Samsung’s Exynos4 SoC compared to Qualcomm and TI’s SoCs, and a laundry list of other issues – it has all recently come to a head with the decision of all currently active Exynos4 device maintainers to not take on any new devices…” – Parent post. In early July, XXLQ5 leaked for the I9100. Within a day, numerous reports of bricks had piled up. Not too long afterwards, XWLPM went live on Kies, and people were bricking left and right with this build too. Now that I had confirmed, both through the nonfunctionality of the wifi driver, and various string comparisons with the backed up stock kernel, that the released sources for any N80xx variant did NOT match the stock kernels (all of them had the same broken wifi driver, and other people who were working with the sources complained about similar issues. ), I raised the issue with my contact at Samsung…. “…So between that, other things (see earlier installments of this saga for many examples), and Superbrick, pretty much all of the Exynos4 maintainers were at the limits of exhaustion with Samsung and especially with Exynos4. I indicated that the Note 10.1 was going to be my last device, and I was not sure how long I’d be staying with the I777 and N7000, as I was exhausted at this point too. All of this has just been yet another case of Samsung talking and making promises and failing to deliver, just like they’ve been talking and making promises for over a year. Development boards are supposed to be AHEAD of handsets – they don’t need to deal with carrier testing, wireless certifications, or any of the things that are usually notorious for holding back handset updates. Plus their intended target is DEVELOPERS, so they should be the “bleeding edge”. This is what Qualcomm and TI reference source is – It’s the absolute latest, ahead of anything seen on handsets. What we’re getting from Samsung is more than 6 months out of date – ICS for an SoC that was in a handset which launched with ICS in Spring 2012, and which received an official Jellybean update (carrier approvals/wireless certs and all) in early October 2012… But they’re still working on ICS for their reference source??? The series was concluded with a summary post which can be found here. We recommend that all users read it before proceeding. The starting point of this article was to try and explain why Exynos devices usually lack in terms of AOSP based development when compared to Qualcomm devices. The above mentioned and quoted G+ post series highlighted the difficulties faced by a maintainer of an Exynos device. The post is dated for the time period 2011-2013, so we reached out to a few of the mentioned developers to figure out how the situation currently stands. Afterall, a lot can change in 3 years in the mobile world. Not for Samsung and its support for AOSP, it seems. Q: Why do AOSP ROM’s take so long to come for Exynos devices, as compared to say, Qualcomm devices? Qualcomm releases always up to date source code which is needed to get all components of their platform working on aosp. See here. Q: What is the future of Exynos Development? What steps could Samsung undertake to make themselves more dev-friendly? There’s no future. All devs you’ve written to have stopped working on exynos devices a long time ago. Most of them even stopped to work on samsung devices in general. It is clear that the situation is almost identical to what it was more than 3 years ago. Samsung devices, specifically Exynos based, remain poor examples of showcasing the work of the development community outside of Touchwiz based examples. All development for the device remains largely restricted to modifications to Touchwiz, with the scene of custom ROMs revolving around adding or removing features from Samsung’s closed source OS “skin” through reverse engineering. 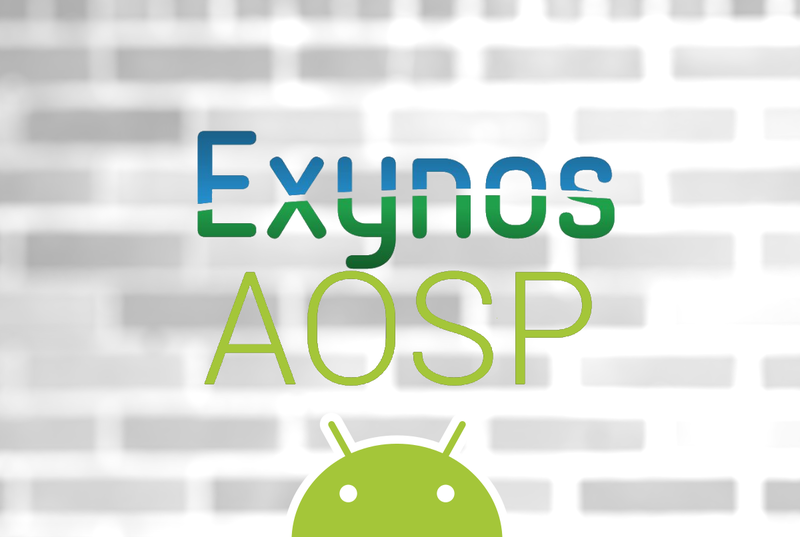 This is not to say that Exynos devices get absolutely no support at all for AOSP ROMs. AOSP Roms, like CM and the likes, do eventually land on these devices, but these come after a lot of low level hackery and extreme efforts by maintainers brave enough to devote all their free time fixing what Samsung broke. Even then, the end result is not an AOSP experience the likes of which you’d expect normally, and for this, you can safely blame Samsung. Stop supporting such companies by buying their devices. Take a sony or nexus device, get quality aosp roms, good community support and simply be happy.